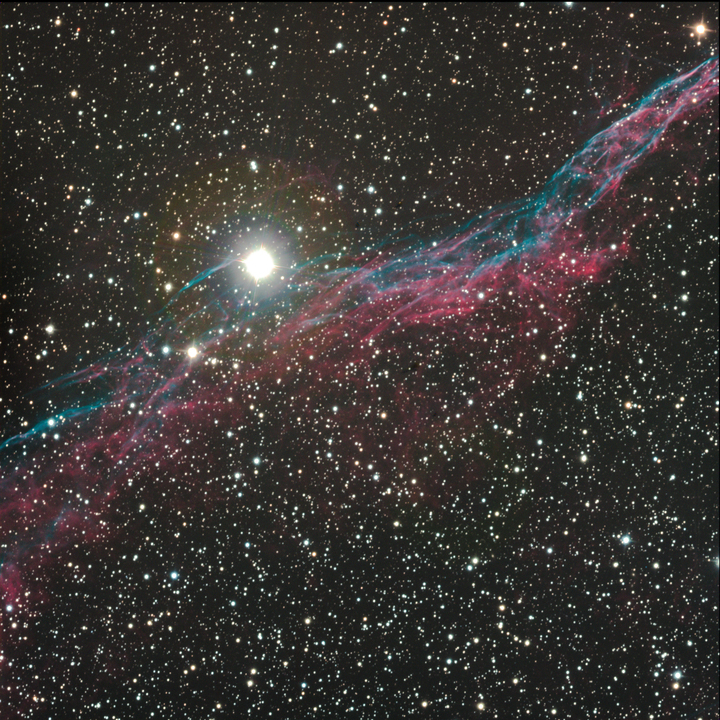 The Veil Nebula, or NGC6960, is a supernova remnant located in the constellation Cygnus. A supernova exploded thousands of years ago, and the remnants can still be seen expanding outwards. The Veil Nebula is about 1470 light years away from Earth.